When you hear the word, “gastropub,” a few immediate thoughts may pop up in your head, such as hipster-y, young, trendy, somewhat pretentious, and over-priced. Republica in Berkley, however, steps outside of the stereotypical gastrobub vibe. Republica offers a homey atmosphere, emphasizing Michigan beer and unique twists on burgers, pasta, salads, and sandwiches. It’s a good spot for families, friends, and both young and old. Republica is family-owned, run by Gorgiann and Keith Omand since 2013. The waitstaff are knowledgeable, eager to share daily specials, and always make sure you are satisfied with your meal. 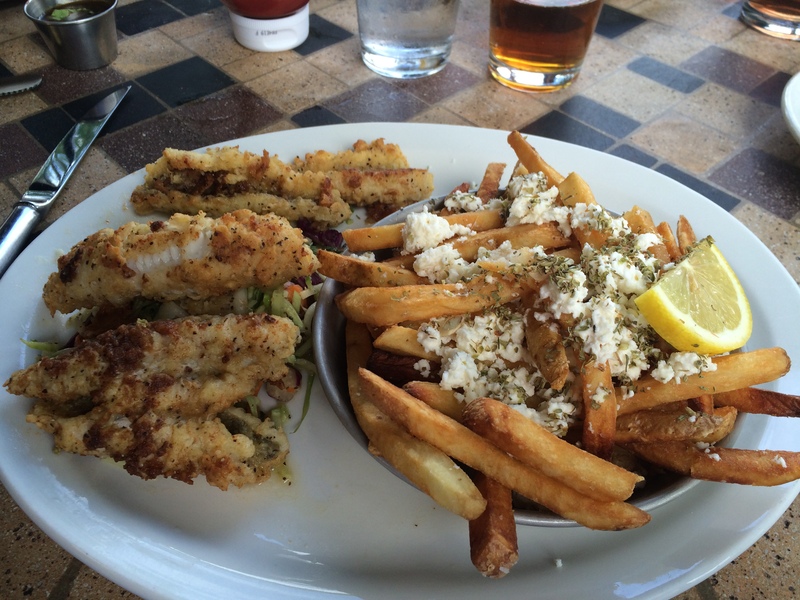 They often feature breaded perch as a special, which is a common favorite. It comes with a generous portion of Plato’s Potatoes, the most savory and delightful plate of fries I have ever had. The potatoes are crispy and thin, served with crumbles of feta, oregano, and lemon. Roast, which I doubt you can get anywhere else around these parts. 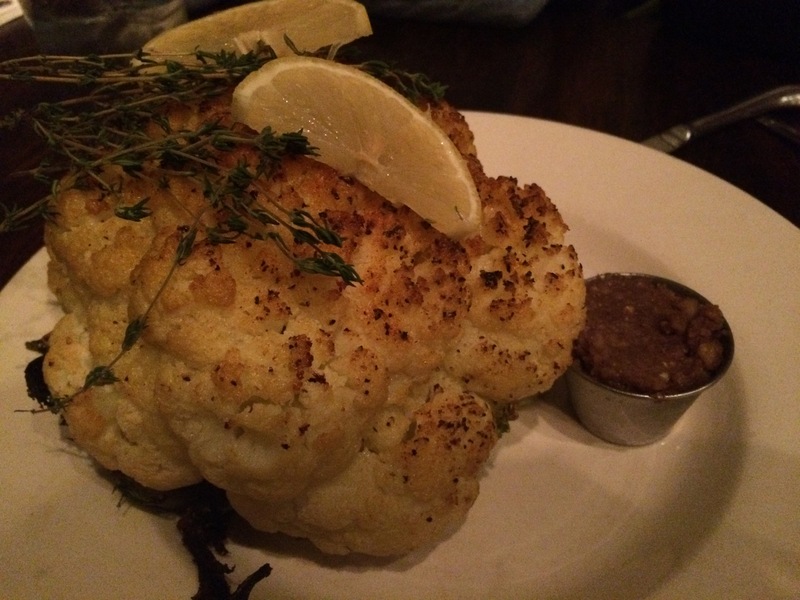 It’s a roasted head of cauliflower, seasoned and flavorful, served with a side of walnut garlic sauce. Even anti-veggie eaters might change their minds after a few bites. 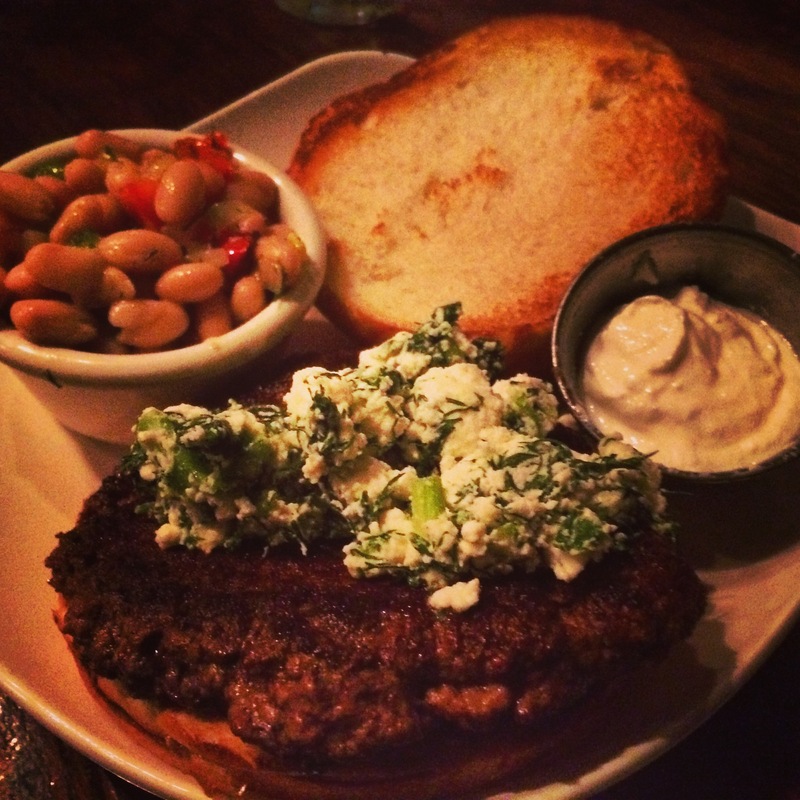 Some other noteworthy menu items are the Village Burger, which is a lamb patty cooked to perfection, topped with crumbled feta, seasonings, and a dollop of yogurt. They are also known for the Revolution Burger. Now, this burger does not mess around, so make sure you’re seriously up for this one: It’s a 10 oz. beef patty, complete with a fried egg, bacon, gouda cheese, a fried onion ring, arugula, tomato and “Srirachannaise” (Sriracha + mayo) cozied up between a warm brioche bun. If anyone actually finishes this burger, please share your experience! I congratulate you! 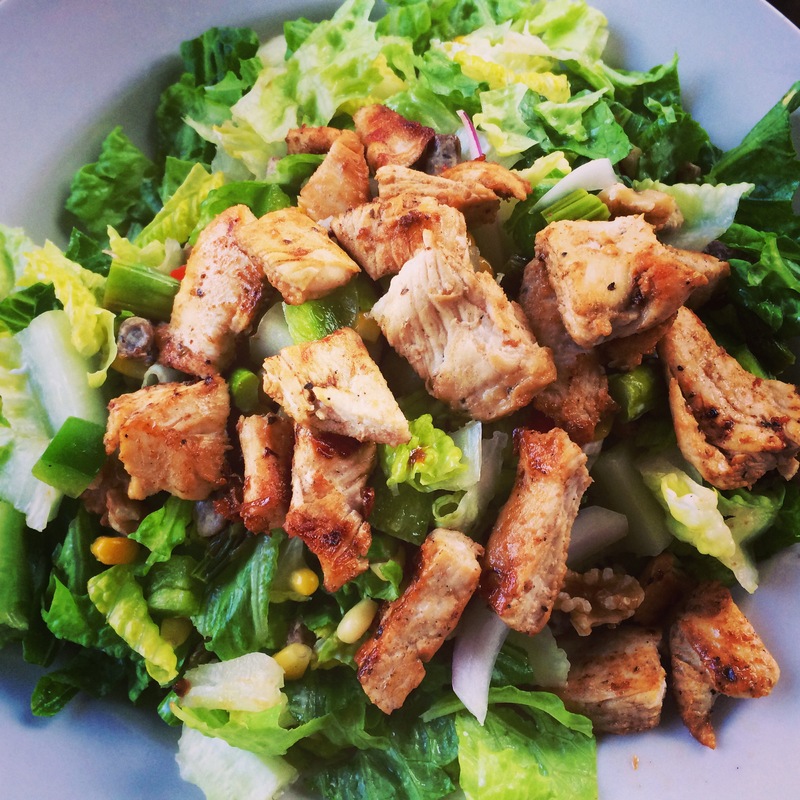 If you’re looking for something a little lighter, their salads are fresh and enticing. My favorite is the Republica Chopped, because there are so many textures and flavors. For me, the more ingredients in a salad, the better. I have also heard rave reviews of their “Plato’s Friend Caesar” Salad, with Kale instead of Romaine. If you’re a vegetarian, vegan, or eat gluten-free, Republica is an excellent choice, and labels their menu items accordingly. As far as drinks go, try one of their many Michigan beers on tap, or go bold and order a fancy cocktail. Their bar is cozy and inviting, so feel free to have a seat and get to know the bartenders. Republica is definitely not a sports bar, but they do have a T.V., so you don’t have to miss the game while you’re out. With its inviting, warm atmosphere, and fresh food that feels like it was made just for you, you’ll feel right at home at Republica. Now that’s something special! Hours: Mon. – Th. 12:00 p.m. – 9:00 p.m., Fri. – Sat. 12:00 p.m.. – 10:00 p.m., Sun. 12:00 p.m. – 8:00 p.m. Phone: (248) 268-3175 (No reservations)! The wait is typically 15 min. on the weekends, but it’s worth it! View the menu here! And make sure to follow Republica on Facebook, Instagram, and Twitter! This is a great restaurant. Thanks for highlighting them.